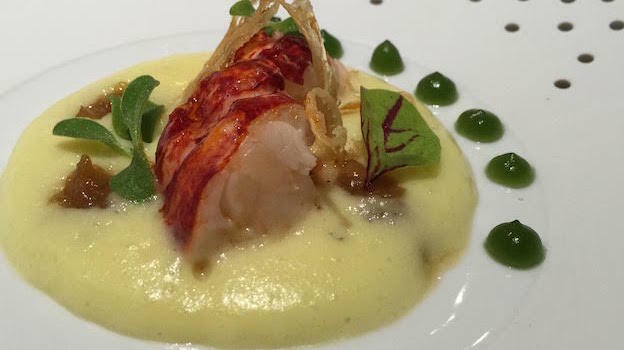 Arnolfo, a two star Michelin establishment since 1999, is one of Italy’s fifteen best restaurants and boasts a remarkable track record of consistency. In fact, I cannot think, off the top of my head, of any place in Italy that has had fewer culinary ups and downs than this one. 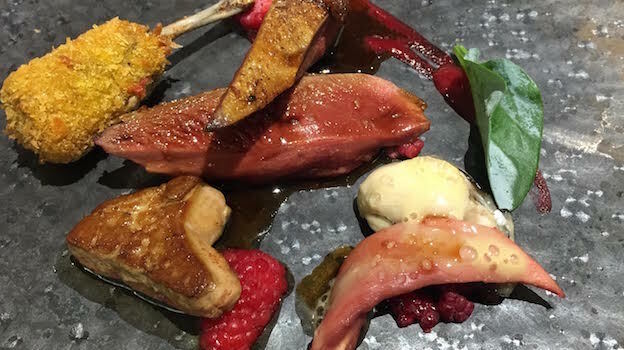 It is a testament to the professionalism and the extreme passion of the Trovato brothers (Gaetano, the Chef, and Giovanni, the Maître) that Arnolfo is as close to a sure bet in Italian fine dining as there is to be found. At thirty-five years and counting, Arnolfo is still at the top of its game. My last meal there only confirmed that impression. The dining room is small, but the large round tables are set far apart. There is also a nice balcony where you may prefer to sit in the summer and early fall, and from where you can gaze at the beauty of the Tuscan countryside. The food is very carefully plated, in fact these are some of the most elegantly and beautifully presented food compositions you’ll encounter anywhere in Italy (even the amuse-bouches are choreographed); you will be reminded of works by Mondrian (if only that artist had contemplated also using curved lines, puddles, and squiggles). The red mullet and lobster antipasti are to die for, expertly cooked and accompanied by logical ingredients that help lift the aromas and flavors of the main player in the dish (the red mullet and the lobster) without camouflaging them in any way. The spaghetti are also exceptional, perfectly cooked and magically infused with the flavors of the very intense tomato sauce. To eat perfectly cooked pasta in Italy might sound like the least one could hope or ask for, but in fact it’s not easy with the Senatore Cappelli grain, which makes for fantastic pasta but one that is hard to cook just right unless maximum care is taken. It’s a grain that was developed at the beginning of the 20th century by the Italian geneticist Nazareno Strampelli at the Research Center for Cerealculture of Foggia in Puglia (Centro di Ricerca per la Cerealicoltura di Foggia). The new grain’s name was dedicated to an Abruzzo nobleman, the Marquis Raffaele Cappelli(also a senator of the Kingdom of Italy, hence the grain’s name), who in the last years of the 19th century had launched agricultural reform in Puglia and supported Strampelli’s work by providing him with experimental plots of land, laboratories and other resources. History lesson aside, the rest of Arnolfo’s dishes on the night were almost as good as the three I started with; the lamb from Zeri is especially noteworthy. The indigenous Zerasca breed of sheep lives only in the countryside of towns such as Zeri, Mulazzo and Pontremoli in the area of Massa Carrara in Tuscany, and is characterized by an especially tender and perfumed meat. I would be doing a disservice to wine lovers everywhere if I didn’t mention Arnolfo’s exceptionally fairly priced wines on the long, easy to read wine list. My evening meal was made that much better by some older and by now un-findable vintages of Italian classics, and I must complement the Trovato brothers for not trying to gouge their clients with silly, inopportune markups. Do make sure you ask Giovanni about any favorites you might have, for not all of the restaurant’s many wines are written up on the already long wine list; so, for example, should you see a wine by a producer you especially like, but you’d prefer to drink another wine from that same producer, ask Giovanni to check and see if he might also have those lying down in his cellar as well. Chances are high he will. I started off my meal with the great 2014 Capichera Vermentino, an explosively fresh and saline blend of pungent minerality and ripe orchard fruit; it’s one of the best they have made in some time. I love just about anything Enzo Pontoni makes at Miani, and though his Bianco is my least favorite of his many outstanding whites, the 2014 Miani Bianco proved well balanced and suave, if a little less concentrated than usual (not surprisingly, given the cool, rainy year). 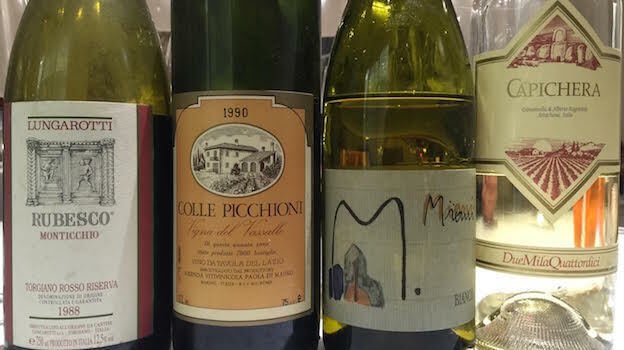 I followed up with two absolutely stellar Italian reds I won’t soon forget: the 1990 Colle Picchioni Vigna del Vassallo and the 1988 Lungarotti Torgiano Rosso Riserva Vigna Monticchio. The former is one of the best wines ever made in Lazio (though the 1982 and 1985 were even better), a remarkably smooth, powerful but also very refined mainly Bordeaux blend that is drinking beautifully and still loaded with spicy, ripe red and black fruit aromas and flavors. The latter is a great Umbrian red that has weathered the test of time well; a little more austere than the Vigna del Vassallo, it’s a magnificent, mainly Sangiovese wine that ages extremely well in great vintages, always imbued with lingering nuances of red and black cherry, flint, licorice and underbrush. Arnolfo di Cambio, also known as Arnolfo di Lapo, was born in the very pretty medieval town of Colle di Val d'Elsa in either 1232 or 1240 (the exact year of his death in Florence is also unclear, occurring either in 1302 or 1310) was a famous sculptor and architect. Many of his works are visible in Florence and Rome (for example, noteworthy statues in the latter’s city churches and cathedrals of Santa Maria Maggiore, San Paolo Fuori le Mura, San Giovanni in Laterano, and Santa Cecilia in Trastevere). In his native Colle Val d’Elsa, he designed two bridges, that of della Spugna and San Marziale, but unfortunately neither has survived the ravages of time. 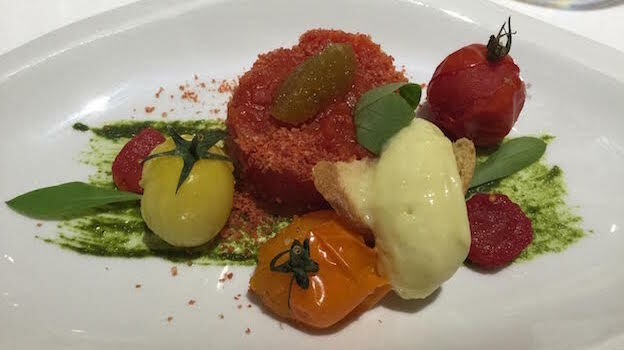 No matter: the memory of Arnolfo, the man, still lives on today thanks to his talent, and the same can be said of Arnolfo, the restaurant, where similar levels of talent and skill guarantee that lasting dining memories are made.